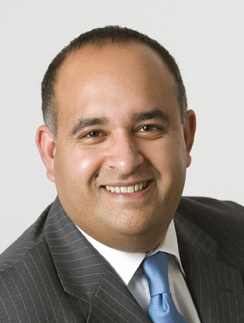 Haaris is Chief Executive of Interesource Group (Ireland) Limited. He is a Chartered Fellow of the Chartered Institute of Personnel and Development (FCIPD), a Certified Management Consultant (CMC) of the Institute of Management Consultants and Advisers and he is on the Board of Directors of the Deaf Community Centre Limerick, and the Citizens Information Centre, Limerick. He is currently Adjunct Assistant Professor at the Centre for Deaf Studies, Trinity College Dublin. He is a member of The Institute of Management Consultants and Advisers and an associate member of the ASSERT Technology for Health Research Group at the School of Medicine, University College Cork. Currently, he is chairman of the JUSTISIGNS project (2013-2016) and has extensive experience serving as chairperson and programme director for 12 EU-funded programmes. Haaris is a specialist in human resource management, business strategy, and policy and is retained as an advisor and consultant to several private and public sector organisations. His research interests and practice areas include: human resource management and training; Deaf studies; and technology enhance learning. He is Senior Consultant in human resources and business strategy and policy for a wide range of companies and organisations in Ireland and his main area of professional practice is strategic HR policy development and practice. Formerly, he lectured in HR at the Department of Personnel and Employment Relations, a designated CIPD Centre of Excellence at the Kemmy Business School, University of Limerick where he graduated with a Business Studies degree as an undergraduate and then went on to complete a masters degree in business studies. He has authored/co-authored numerous reports and journal articles, and has presented papers internationally on a wide range of topics in such fields as HR, risk management, Deaf Awareness, and linguistic and intercultural competencies for international trade. He has directed eight international DVD documentaries. He is currently working on several Deaf, Sign Language and Interpreting related educational projects involving online and blended learning as well as digitisation of course content at Trinity College Dublin.